Winter is just around the corner – are you ready? The Farmer’s Almanac is predicting “another teeth-chatteringly cold winter” that will bring an “arctic blast with above-normal snowfall throughout much of the nation.” Last winter was a real doozy so I’m in pre-season training mode (and I don’t mean ski-season). Immunity boosting is the name of the game right now, so here are some tips on how to increase your body’s natural defenses. They might be review or else they might serve as a gentle reminder. In any case it’s always good to review the basics. Put Some Clothes On! Keep your WHOLE body well-insulated, especially your feet. An easy way to compromise your core temperature is to walk around the house (or studio) in bare feet. Remember Mr. Rogers? The first thing he did when he got home? He’d put on a sweater and some house shoes. Be like Mr. Rogers. Hot Foods and Drinks. Salad season is over and for good reason. Eating cold, raw foods dampens your digestive fire. If you can handle spicy (rajasic) foods then crank it up! Now’s a good time to stock your kitchen with an arsenal of soup supplies (hot soup is the only smoothie I eat). And drink lots of room temperature or hot beverages [for more info read: The Dangers of Drinking Cold Water ]. Twist it Out. 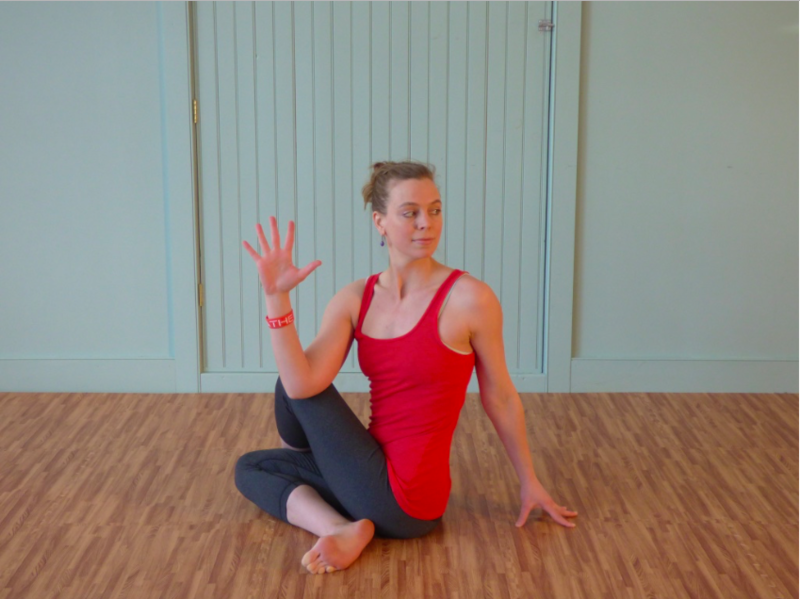 A regular practice of twists is a great addition to your home practice. Twists detoxify and refresh the organs by increasing blood circulation and promoting digestion. Constipation (less than two bowel movements a day) is a HUGE issue in our society but it can be improved by routinely wringing out the digestive tract. So get twisted! Sunshine = Free Vitamin D. As the days get shorter you may find that you’re spending less time outside. I know you’re busy but it’s really important to get outside, not just for the fresh air but for the Vitamin D. In this article Dr. Joseph Mercola discusses the current pandemic of Vitamin D deficiency. Natural sunlight is the best way to optimize your Vitamin D levels. And it’s FREE! Avoid the Crowds. It’s not always possible, but avoiding crowds is a good preventative measure. If you can schedule your outings during off-peak hours you’re increasing your likelihood of staying healthy. When you do go out be sure to wash your hands frequently – just be sure to avoid using toxic antibacterial soaps. I carry a travel size bottle of natural hand sanitizer everywhere I go. Catch Some Z’s. Ample rest is essential for good health. One of the first things that clicked for me about yoga was the importance of downshifting at this time of year. It’s simple enough – just start winding down when it gets dark. Use candlelight instead of fluorescent bulbs or glowing screens. Sleep when you feel tired. Relax. Try not to watch The Walking Dead right before bed (note to self). These are just a few ways to tip the scales in your favor this winter. Do you have any immune boosting tips to share? Feel free to leave a comment in the box below.